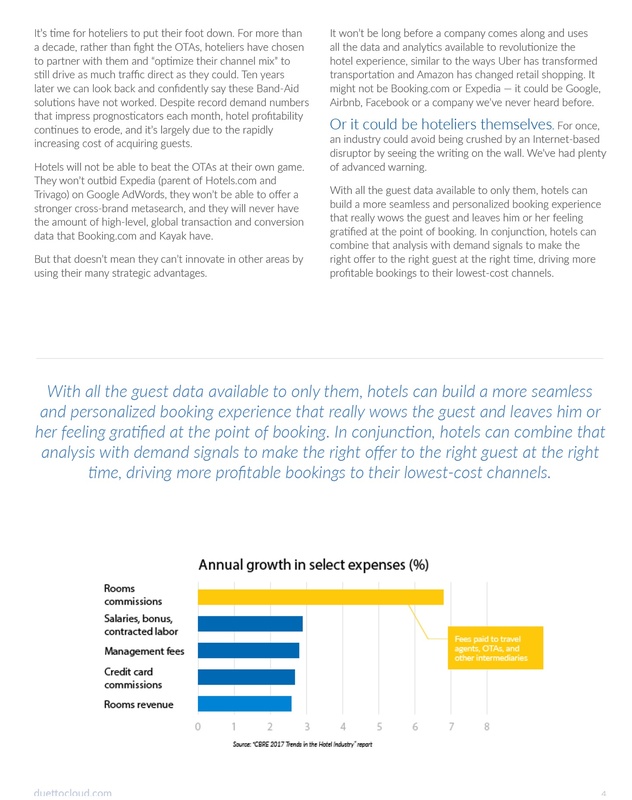 In the years since hotels first turned to online travel agency partners, the relationship has become unbalanced in favor of the intermediaries. 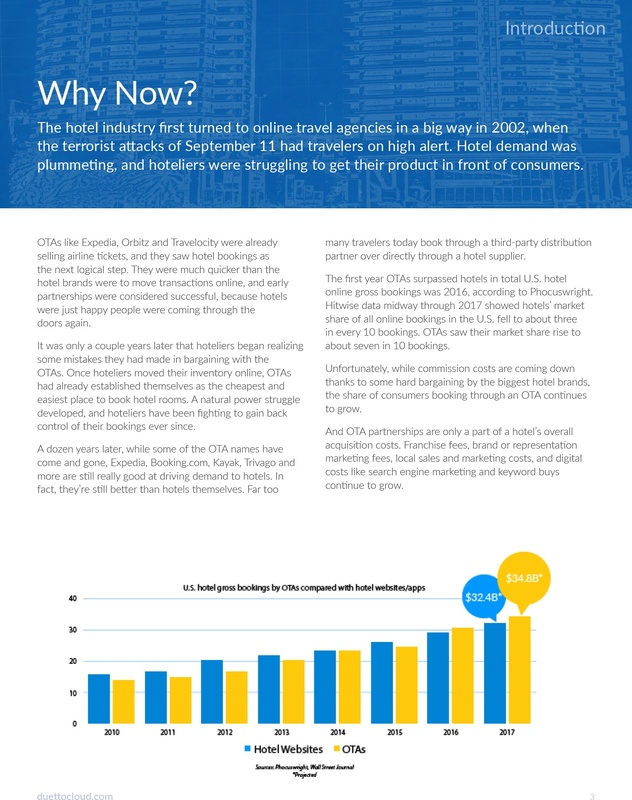 Even during times of record demand, hotels are watching their profitability stagnate or erode because of rising customer acquisition costs — often in the form of higher commissions. 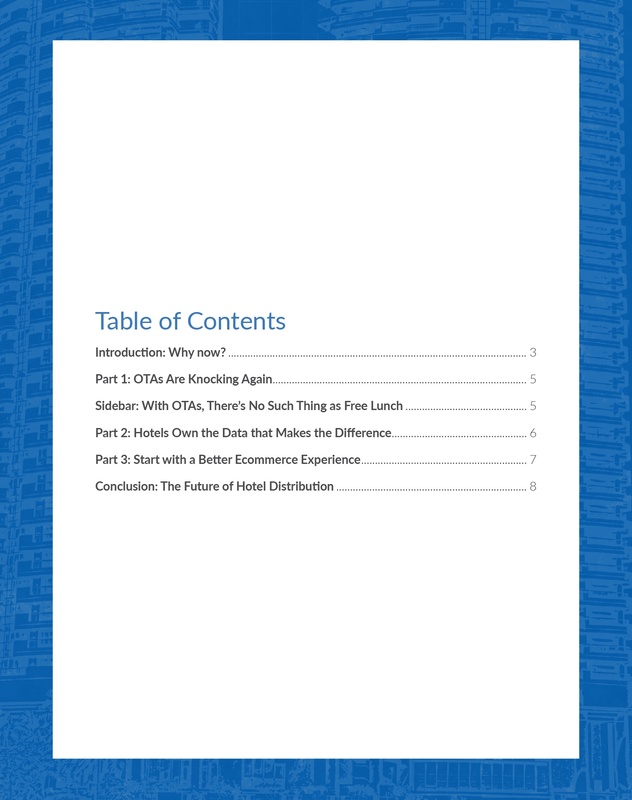 The OTAs continue to call on hotels, often with new promotions and sometimes with low- or no-cost tools for hotels’ technology stack. But bear in mind, there’s no such thing as a free lunch with third-party distributors. 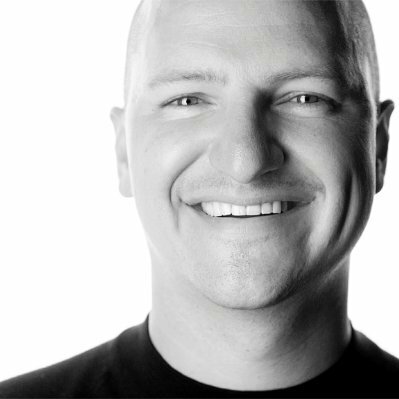 Learn how to rebalance the hotel-OTA partnership by using the data you own in your own systems to elevate your pricing and business-mix strategies and, ultimately, to relaunch a more seamless, personalized booking experience for your guests. 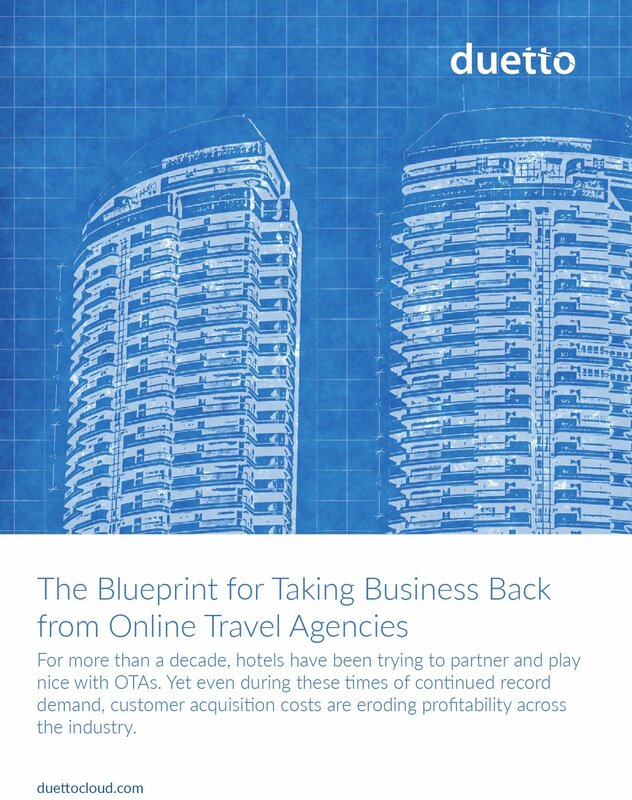 Download your free copy of The Blueprint for Taking Business Back from OTAs today!